Former Acting Managing Director of the Ports Authority, Alfred A. Henley approved millions of dollars worth of contracts without authorisation. Photo: VINO/File. Minister for Communications and Works, Hon. Mark H. Vanterpool. Photo VINO/File. This was revealed during a sitting of the House of Assembly (HoA) on Thursday, July 19, following several probing questions by Leader of the Opposition, Hon. Andrew A. Fahie (R1) to Minister for Communications and Works, Hon. Mark H. Vanterpool (R4). Hon. 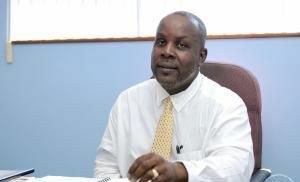 Vanterpool told the Public that former Acting Managing Director of The BVI Ports Authority, Alfred A. Henley aka ‘Al’ approved a total of $2.1 million dollars worth of contracts without authorisation from the Board of Directors of Ports Authority. According to Minister Vanterpool, such occurrences are ‘policy’, when in-fact, according to sources close to the Ports, they are a direct contravention of the Ports Act. Startled by this revelation, the Leader of the Opposition questioned whether the same Board was still in place. The continuous interrogation by the Opposition Leader resulted in the information that the Board retroactively approved the contracts after being advised by the lawyer for the Ports Authority’s Board, and that the Authority was legally on the hook. It is our understanding that to avoid potential lawsuits, it was the most expedient policy to approve the contracts retroactively. Furthermore, many are now asking if Hon Vanterpool has thrown the former Ports acting boss under the bus, as the Minister was believed to have helped choose many of the contractors. As of press time neither the Minister, nor the former Posts Acting Managing Director could be reached for further comments. Yeah man everybody get out the bus including the Ah Papi TT monster Spanish Baby minister. Jump off meh me run all a ayo over. First of all WHAT IS THIS MAN EDUCATIONAL and PROFFESSIONAL background to get this job? When FOOLS answer that you will figure out how the contracts were given out. How much money did the former Managering director took.he build his house,He bought a red cat ferry to run Dinsey Tours from cruise ship pier. This has been happening for years going all the way back to the beginning, and because no one has been held accountable for the stolen monies, they have been getting away with it. They didn’t even have the decency to leave enough in the pot for a catastrophe, which we have been hit with. They thought the well would not run dry, and here we are sucking dirt. 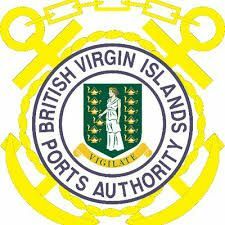 The BVI has never looked this bad, broken and dirty with no money to fix it. Mad as a wet Hen! Fancy new restaurant in the bay. Fancy. When will the Governor get up and go do his job. This is too much wrong doing that the NDP keeps getting away with. You mean to tell me that after all the rumors and allegations of misappropriations, costs overruns, short listings, miss allocations etc. that the minister had a hand in illegally selecting contractors for contracts that he knew were illegally and improperly executed? This man does not intend to stop this racketeering? Where is our accountability system? What action is the leader of the opposition taking besides talking? Now that the opposition leader finished talking and revealing the situation, what is the next step to remedy this situation? Just continuing to talk just to make you look like your party should be elected to the legislature? Now that Mr. Henley has lost his job, does the minister still has his job? We want some action from the leader of the opposition. If what you are saying is true, I want to see your effort in getting rid of this minister right now. If you cannot do nothing to get rid of this minister besides running your mouth, then its time for you to shut up! I don't look for the Leader of the Opposition to do nothing more than he has been doing. The Constitution gives the Governor the full authority to act when all other arms of accountability in government has fallen down. The Governor needs to get up and go do his work. Only he can either call a commission of enquiry or any other type of investigation. Let him go do his work. People will only treat you, the way you allow them to treat you.the minister already did his part ...its now for you and I to get together and do something about it.. This is a dame shame to the country. We really need justice asap. I am supposed to believe this. The minister and his cronies expect us to believe that the Acting Director could actually give out such large sums of money and he is the only signing off on them. Where is the Chairman of the Board, the Financial Comptroller and his Superiors in all this. So he just decided to be Santa Claus all by himself. This is really unbelievable. Mr. Minister please come better that this. Dam if you do, Dam if you do not in these Virgin Islands. A lot of people who do not have direct descendants here in the VI do not give a rats a$$ about this country and a lot who do are the same ra$$ way. Dig out the VI. Exploit the status quo. Take a dam haRd look at what the hell is going on in this country. Now them have Akeem Pickering as the new Acting Director Hmmmm!!! Pickering, Hanley and Fahie been thefting the money!!! !